Soul of Sydney Featured on Eastside Radio | SOUL OF SYDNEY FEEL-GOOD FUNK SOUL DISCO vibes & beyond. The good people at Eastside Radio 89.7FM have got the FUNK ! 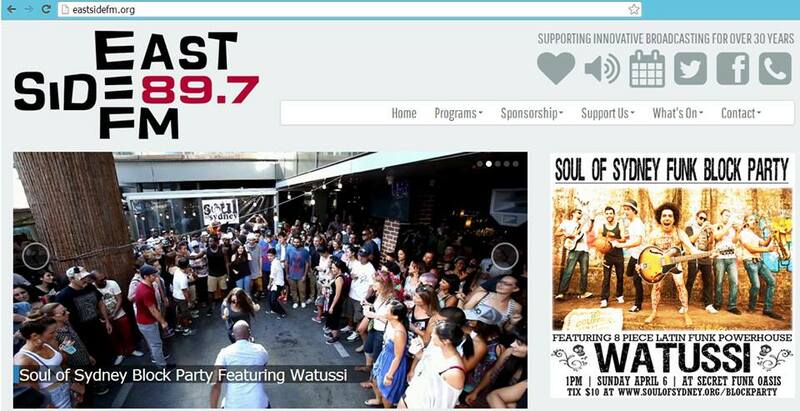 Check out their site with Soul-Of Sydney featured all over & support community radio! The station have always always been so supportive on our end, helping us to get the word out about our events from day one. Check them out streaming 24/7 at www.eastsidefm.org or 89.7 FM and Digital.